Kratom is a psychoactive drug derived from the leaves of the kratom plant (Mitragyna speciosa) that is widely used in Southeast Asia, especially Thailand, where it is now banned as a recreational drug. But it has recently become popular in the West for its supposed medicinal purposes. The drug is known for its sedative effects, but in low doses it also acts as a stimulant. According to the website biothai.net, Japanese scientists have patented painkilling drugs made from kratom in Japan and the United States since 2014. According to researchers at Chiba National University and Josai University, the kratom painkillers act like opium-derived analgesics (such as morphine) and are especially useful because they do not have some of the undesirable side effects of opiates. The research team is now asking for patent protection internationally under the Patent Cooperation Treaty, of which Thailand is a member. THE INTELLECTUAL Property Department has not allowed any researchers to register patents on kratom, a well-known Southeast Asian medicinal plant, in Thailand, the Commerce Ministry has confirmed. Meanwhile, the government has called for the World Intellectual Property Organization (WIPO) to provide information on how Thailand could benefit legally from commercialization of its plants. The department was responding to a rumor that Japanese researchers had asked for patent protection in Thailand on kratom-based painkillers. The agency insisted there was no such case. Commerce Minister Apiradi Tantraporn said Thailand would not grant any patent for exclusive rights to a natural plant. 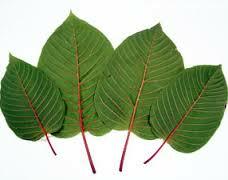 Also, kratom is classified as an illegal narcotic in Thailand. People cannot sell, produce, export or possess it. She also explained that as Thailand is a member of the Convention on Biodiversity (CBD), any person wishing to derive benefits from Thai plants needed to ask for permission and to share said benefit in the case of commercial usage. That obligation under the CBD also applies to multinational pharmaceutical companies. She said the government of Thailand and other developing countries had called for the WIPO to provide information on the regulations on the commercialization of local plants or herbs.